Thanksgiving is quickly approaching, Hanukkah is right around the corner, and holiday parties are circled on your calendar! ‘Tis the season! In preparation of being a good guest at all these holiday gatherings, my eye has been open for great hostess gifts. I love these beverage tags at Ballard Designs (www.ballarddesigns.com) – 6 for $15! You have a holiday beverage tag option, as well as an everyday tag collection. These tags not only help guests identify the contents of pitchers, they also add a charming extra touch! 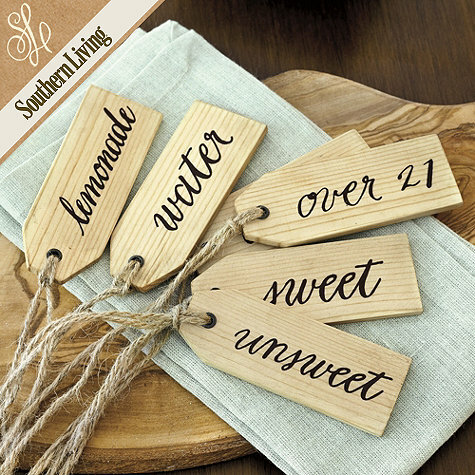 Surely your hostess would love something like this to make their next party even better!